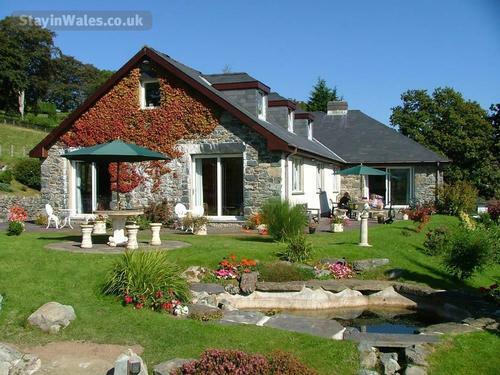 Heulwen Guest House lies on the outskirts of Llanfachreth, a tiny village close to the centre of the Snowdonia National Park, three and a half miles from the old market town of Dolgellau. 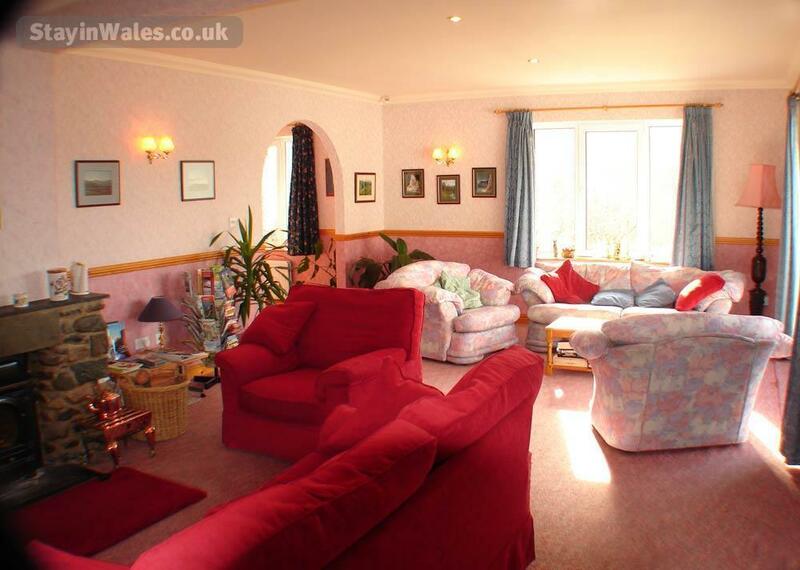 The accommodation consists of three large south-facing bedrooms, all with stunning views of the surrounding mountains. 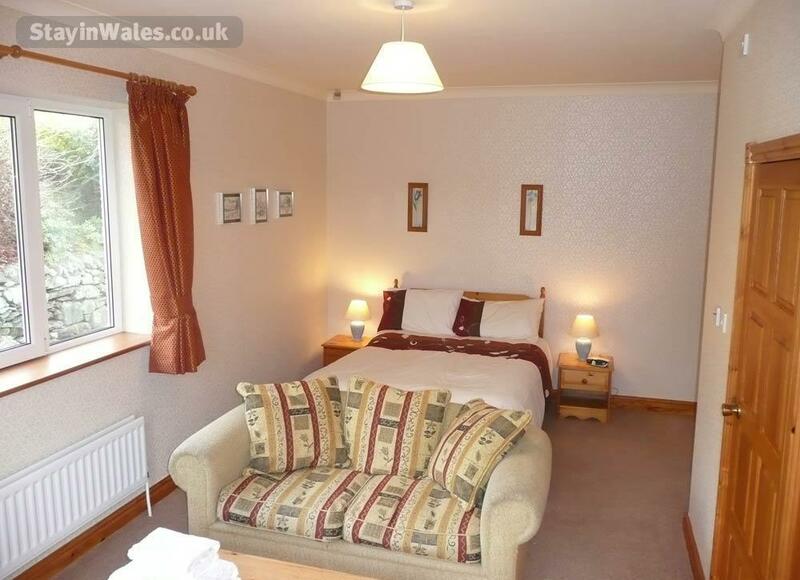 Two of the bedrooms have en-suite facilities (shower, toilet and hand basin) and patio doors leading into garden. 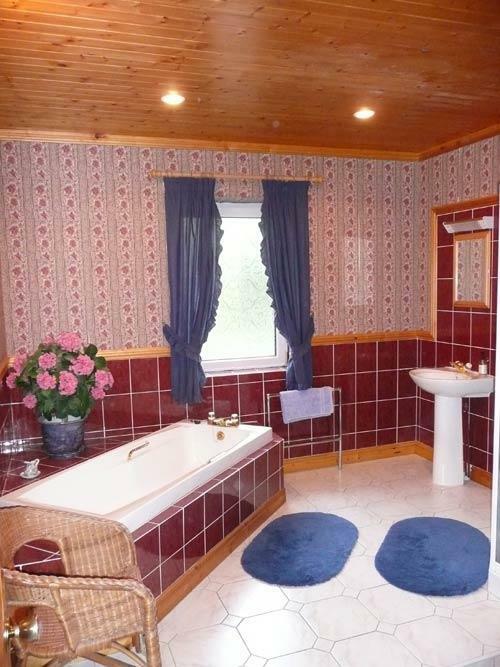 There is also a twin or double room with hand basin. All bedrooms have central heating, television, clock radio alarm, hairdryer, tea and coffee making facilities, and information booklets about attractions in the area. The spacious guest bathroom has a bath, shower, toilet, and hand basin. There is also a separate toilet with hand basin. A large and comfortably furnished lounge is centred around a stone fireplace and whether you want to watch television, play board games, or simply enjoy the superb views, the seating is arranged for all tastes. Leading from the lounge is a large patio area, veranda and lawn, where you can while away long summer evenings. There is ample off-road parking and facilities available for storing and washing down mountain bikes.